How to sum up an entire year of news in just 10 photos? The very notion is daunting when we consider that the AP's award-winning team of hundreds of staff photographers, freelancers and photo editors sends out some 3,000 photos every 24 hours - over 1 million photos a year - to our subscribers around the globe. In the 10, we see a woman being removed, alive, from a deadly building collapse in Bangladesh. 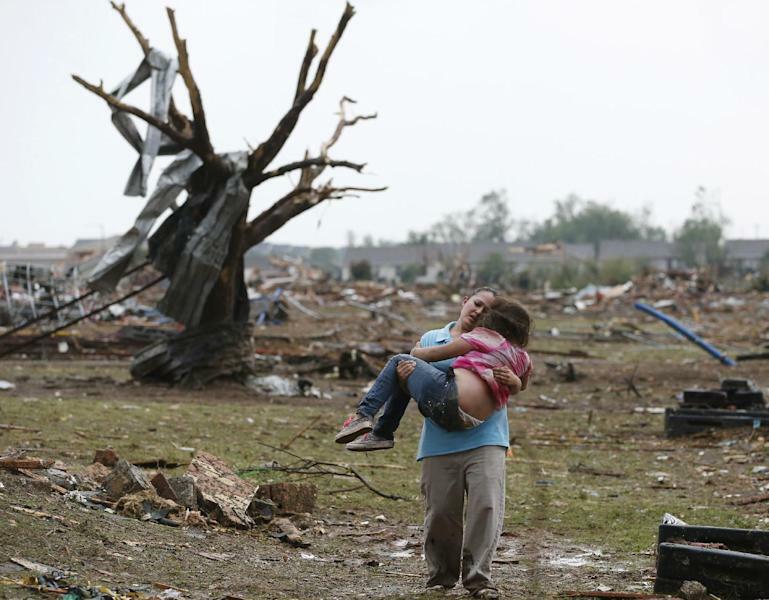 We see a mother carrying her 8-year-old daughter through the wreckage after a tornado leveled sections of Moore, Oklahoma. 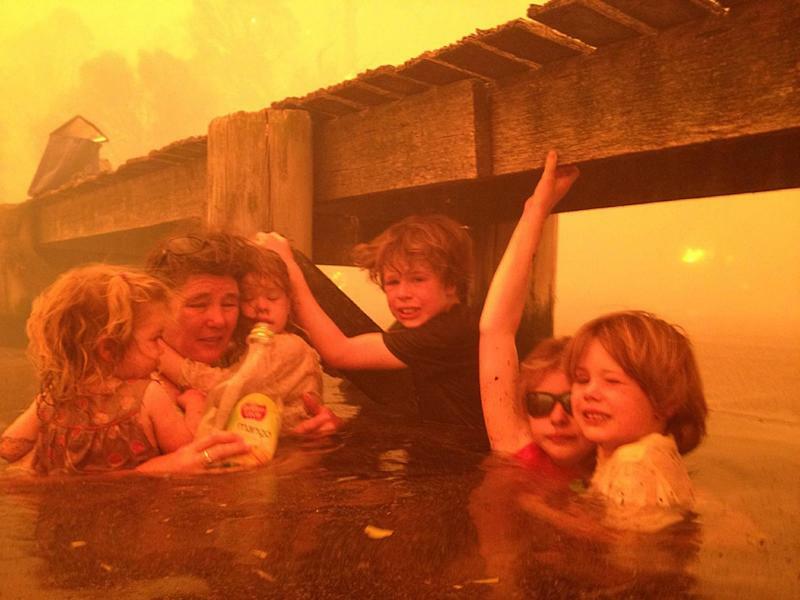 A family in Australia takes shelter in the water under a bridge as wildfires rage around them. A victim of the Boston Marathon bombing is rushed to safety after losing the lower part of his legs in the blasts. Gay rights activists are protected by police in Russia after being beaten at the hands of anti-gay demonstrators. A nun's face lights up as white smoke billows from the chimney on the Sistine Chapel indicating that a new pope has been elected. A protester gets a face full of pepper spray from Brazilian police. A Syrian man covered in bandages leaves the hospital after being injured in fighting. A devastated landscape in the Philippines after Typhoon Haiyan struck. Hundreds of mourners line up to see the body of Nelson Mandela as it lies in state in South Africa.